Mother’s Day is fast approaching, but if you haven’t picked out a gift yet, don’t panic! These last minute finds can get to mom’s house (or inbox) before Sunday. Make a socially-conscious choice when ordering flowers online by entering your zip code on Slow Flowers. You’ll get access to a directory of local florists. 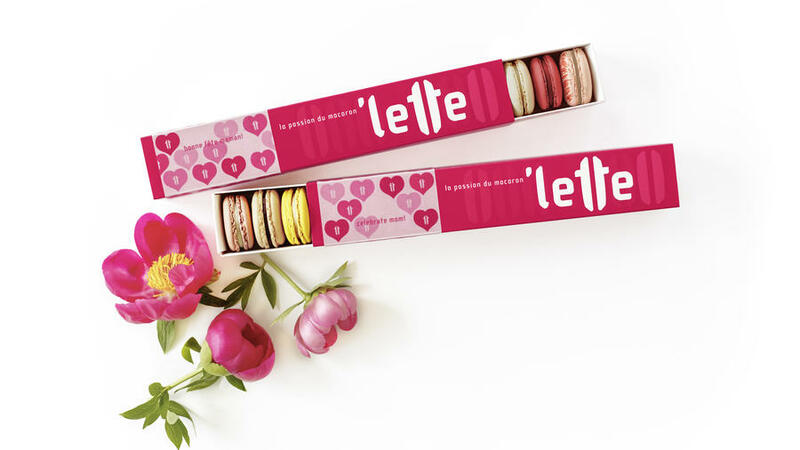 Many deliver overnight and everything is grown in the U.S.
Order a box of colorful macarons from Lette online and have them shipped overnight, or if you are in Southern California, pick them up in-store. From $11.50. If your mom is a pie lover, Los Angeles-based Porch Pies will deliver a mixed-berry crumble, tart lemon chess or cherry chess pie overnight. They ship nationwide (order by Thursday) and hand deliver locally. From $35. Portland’s Moonstruck Chocolate Company is offering overnight shipping for $12.95 on online orders of $40 or more. Let mom decide where she wants to spend a relaxing weekend away. A gift certificate from The California Association of Boutique and Breakfast Inns gives her over 200 options, from beachside retreats to wine country B&Bs. Available in any dollar amount. Whether she would enjoy a pedicure, massage or yoga class, Spafinder gift certificates can be redeemed at locations all over the West Coast and across the country. From $25. GiftRocket lets you suggest a restaurant or other location where mom can enjoy a night out, but ultimately lets her spend the money anywhere she likes. Available in any dollar amount. If she’s into locally sourced home goods and jewelry, your mom will love picking out a gift from San Francisco’s Belljar. Gift certificates available online, from $25. Nature-loving moms will stay warm and cozy with a Pendleton National Park blanket, perfect for summer camping trips. From $172. An extra hand in the kitchen is always welcome. Totally Bamboo Salad Hands are environmentally-friendly and great for entertaining. $8. If your mom is a garden-lover, the Sunset Western Garden Book of Easy-Care Plantings is the perfect choice. $25.